Happy New Year! 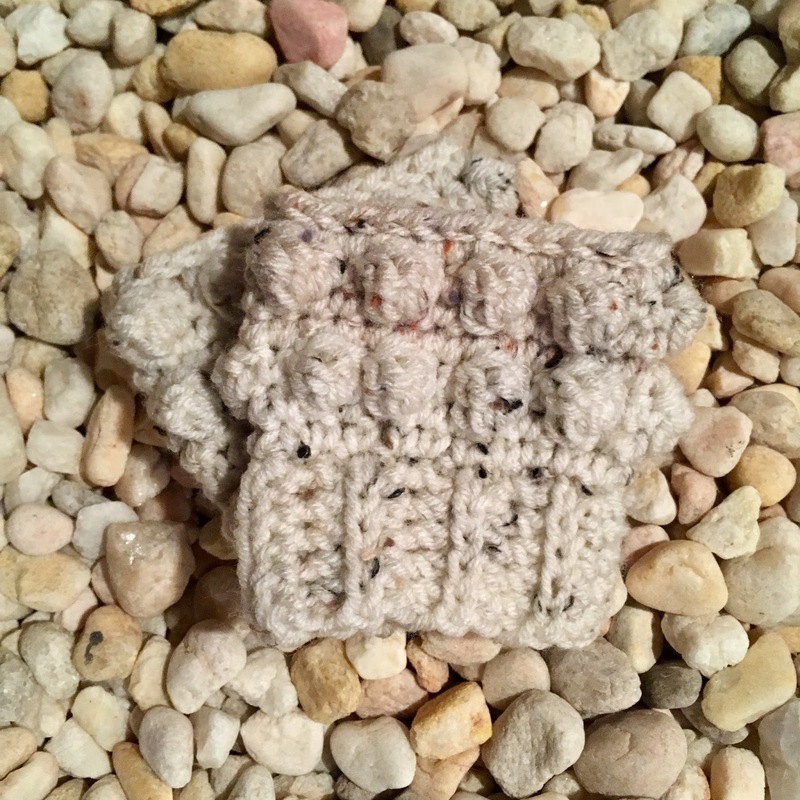 It's the beginning of my third year in the adventures of crochet and my second year blogging about them. 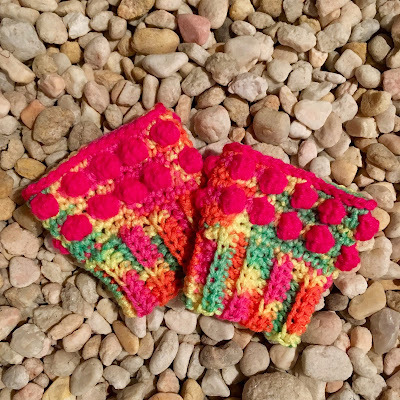 Here for you, to ease your winter blues is my 11th original crochet pattern, and the first pattern of the new year, my Pom Pom Boot Cuffs! I love winter time. I love snow, and I love wearing boots. I think it's safe to say I have boot cuff mania! 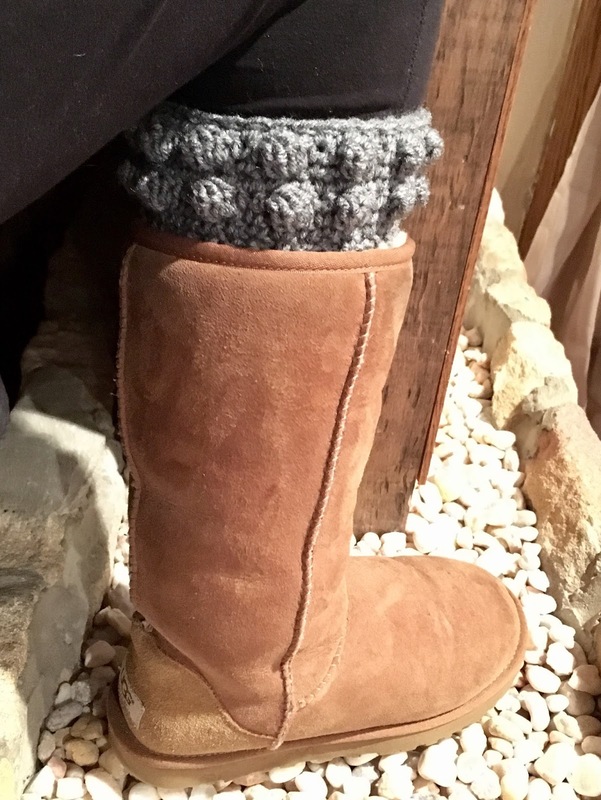 I've been having so much fun re-sizing my Sweet Scallops boot cuff pattern and giving them to my friends. 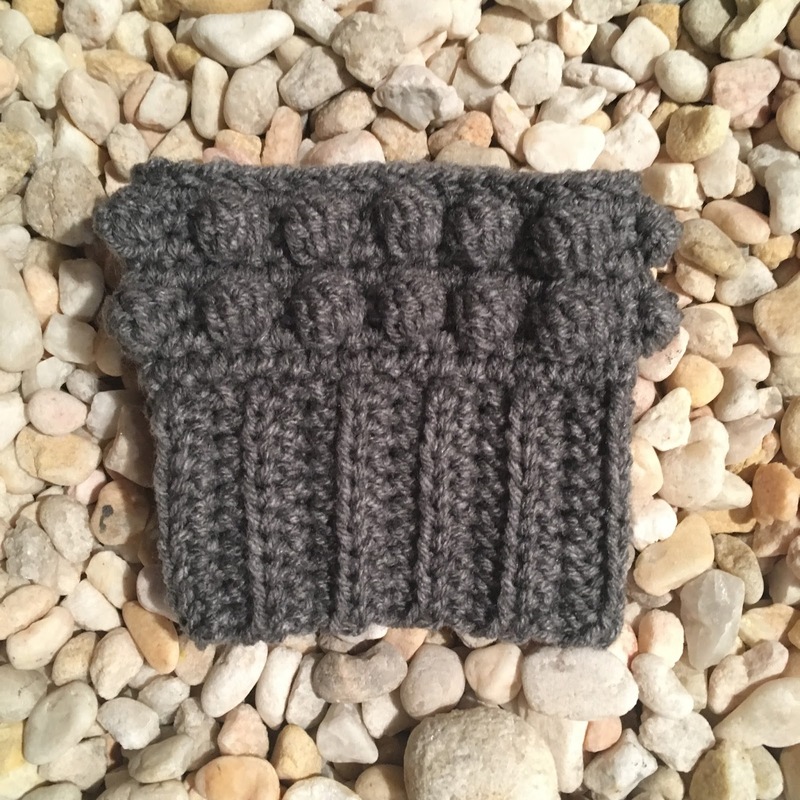 I even made tiny toddler sized boot cuffs for my little one. They are so small, so cute, and they work up so quickly, I made her pairs in six different colors! I just cant't get enough. So I sought to create a new original design, and when inspiration struck the Pom Poms were born. They're fun because the poofs on the design made me think of tiny little pom poms. Initially, I had another name picked out, but while writing this, something told me to "google it". When I did, I discovered that what I intended to christen these cuffs was a reference to the unsavory in certain cultures. Yikes! (you can laugh, I am!) That would be just the kind of comical calamity to befall me, even if self-induced. When I read those salacious entries on Urban Dictionary I heard the voice of the legendary George Takei in my head saying "OH NO!". What had I gotten myself into? And I had already teased them on Facebook under that indecorous moniker! I hit save, ran to Facebook and edited the post. Needless to say, crisis averted. I wasn't even going to tell you but, it's too funny! Now good and properly named, the Pom Pom Boot Cuffs are definitely cute, and super fluffy. They work up quick- even quicker in toddler size- and are very fun to make when you get the hang of the pattern. Once I started making them, I just couldn't stop. 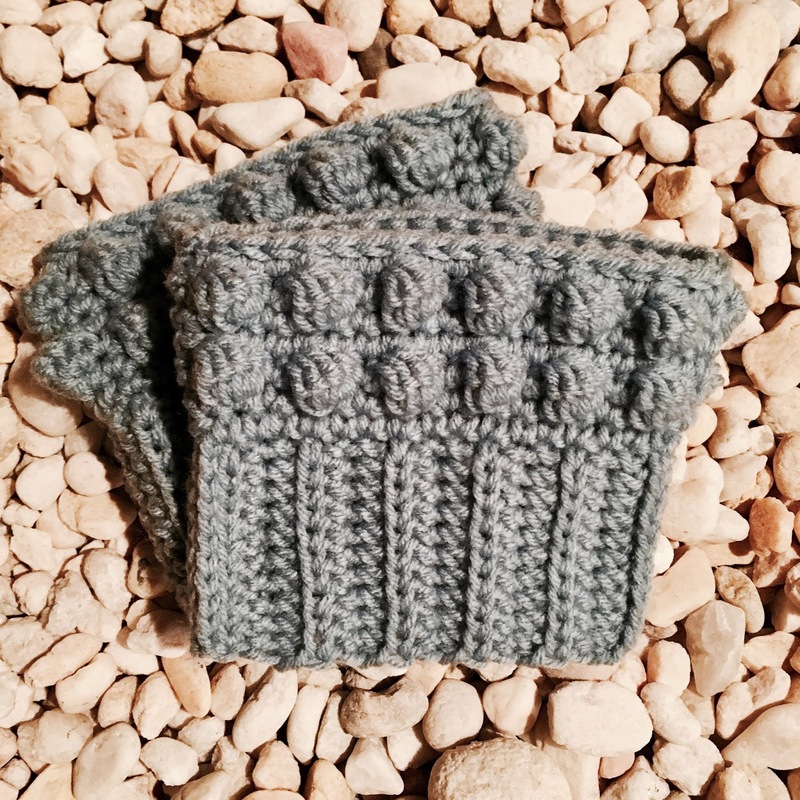 I love the way these toddler sized cuffs look in the flecked yarn. While working up the pattern, I got progressively more creative with them and introduced color changes. If you want to get fancy, switch colors on the pom poms to make them pop. The color combinations one could come up with are truly endless, and the possibilities are exciting. A neon variegated with hot pink pom poms and edging detail in child size. 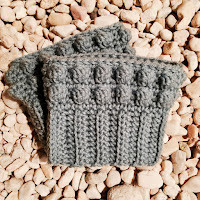 Worked with an H hook in any worsted yarn, these cuffs feature ribbing at the base, and then graduate into two rows of soft and puffy pom poms. A round of slip stitching at the top gives them an extra little something as a neat and tidy finishing detail. A very posh crocheter could employ an invisible join in the slip stitching round to make a seamless finish. This heather gray in an adult size is cute too, though some may prefer the design just for juveniles because its so quirky and fun. This is the first time I've included multiple sizes in one of my patterns. I've followed professionally written patterns like this before and I am pretty sure I've done it right. If not, I'm sure someone will be kind enough to chime in with a fix! If you make a pair be sure to share your work on my Facebook page, find me on Ravelry or leave a comment. I'm here to help with any questions you may have. 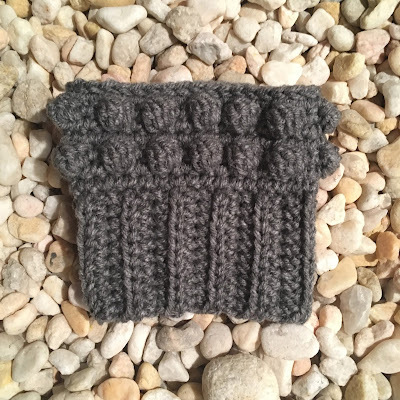 Sc inc- single crochet increase, make two sc in the the next st. Note: Pattern is written in three sizes, Toddler, Child and Adult. Stitch counts are denoted as follows: T (Ch, A). Simply make the appropriate number of stitches or rows for the size you wish to make when following the pattern. Row 1: hdc in the back bump of the third ch from hook, and in each ch across for a total of 5 (7, 10) sts, ch 2, turn. Row 2: working in back loops only (blo), hdc in each st across, ch 2, turn. 5 (7, 10) sts total. Rows 3-15 (17, 23): repeat row 2. At end of last row, ch 1, bring ends together to form a tube, sl st across through blo and flo of both ends. 5 (7, 10) sl sts. Pivot the cuff with right side facing to work around the raw edge, ch 1, sl st evenly around (apx. 3 sts every 2 rows) for a total of 23 (26, 35) sl sts around. Ch 1, do not join. Round 1: sc in the next st, and in each st around for a total of 23 (26, 35) sts. Join to first sc with a sl st, ch 1. Round 2: sc (in same st as join, here and throughout) in the first st and in each of the next 4 (5, 8) sts, sc inc in the next st, sc in each of the next 4 (5, 8) sts, sc inc in the next st, sc in each of the next 4 (5, 8) sts, sc inc in the next st, sc in each of the next 4 (5, 7) sts, sc inc in the next st, sc in each of the remaining 3 (2, 0) sts, join with a sl st to the first sc, ch 1, turn. 27 (30, 39) total sts. Round 3: sc in first st, bobble in the next st, *sc in each of the next 2 sts, bobble in the next st*, repeat ** around 9 (10, 13) times until 1 st remains, sc in the last st, join to first sc with a sl st, ch 1, turn. Rounds 4-5: sc in each st around for a total of 27 (30, 39) sts, join with a sl st to the first sc, ch 1, do not turn. Round 6: turn, repeat round 3. Round 7: sc in each st around, join to first sc with a sl st, and then continue to sl st loosely around top of cuff, join to beg sl st, fo, weave in ends.